As inspirational quotes go, this is one of our favourites. Surely we would all rather be a bold and beautiful flamingo than a grey pigeon? 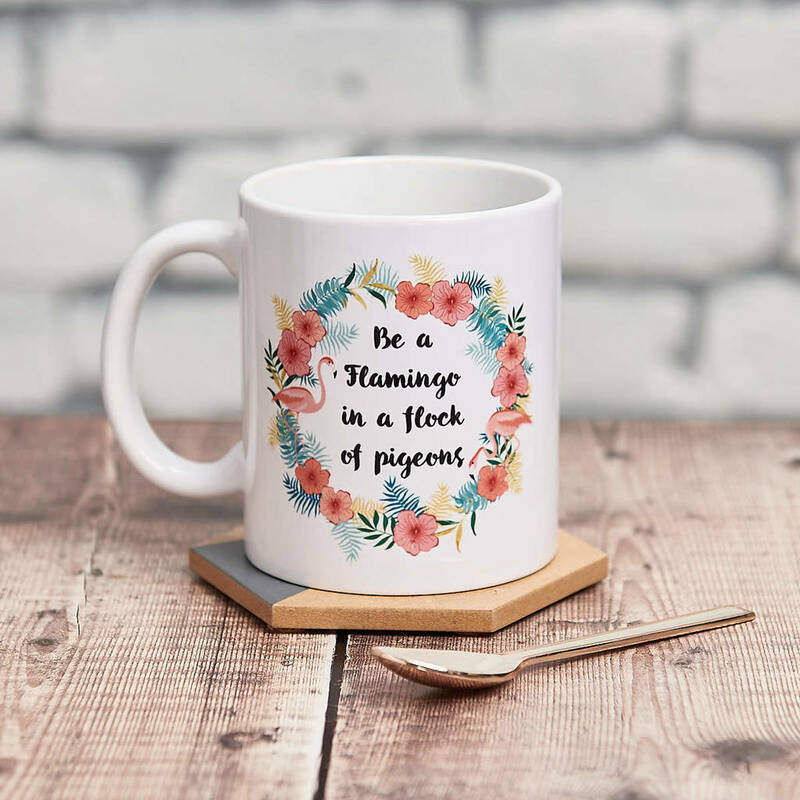 This mug is perfect for your extrovert friend who just loves to stand out from the crowd, or to buy for yourself as a way to celebrate your uniqueness. Made with hard-wearing ceramic, the mugs are crafted and printed in the UK, in a pretty little studio in Brighton. They are individually bubble-wrapped and packaged in boxes to ensure they are protected and arrive to your door in perfect condition. Each mug is precisely hand-crafted and completed to a perfect finish, made with high-quality ceramic to ensure a hard-wearing product. All parts of the production process take place in our beautiful Brighton studio, including the final customisation. The mug is then bubble-wrapped and boxed, ensuring it is well cushioned to prevent any damage during transportation.